My family returned from a trip to Universal Orlando Resort in Florida. We seriously love vacationing in Florida. 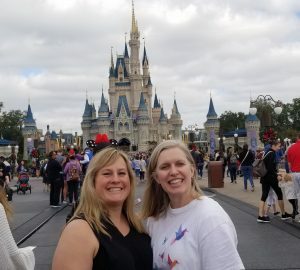 Between Volcano Bay The Wizarding World of Harry Potter, the Simpson rides and trying to beat each other at Men In Black we have the best time! 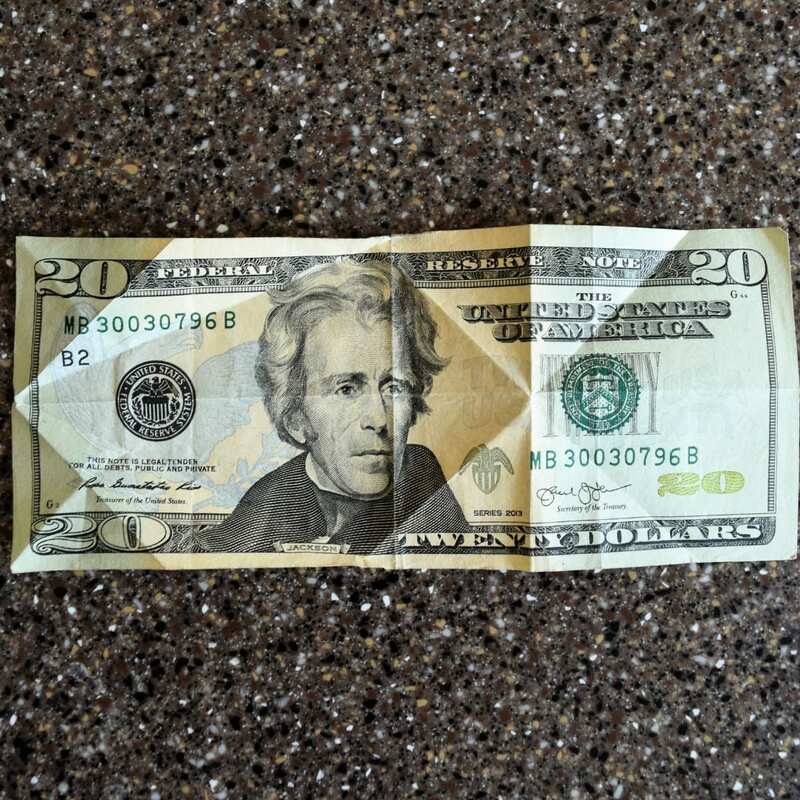 It came in really handy that I knew how to fold a dollar origami fish (look under the video to know why). But if you have followed OrigamiFoodie Instagram at all, you know I love folding dollar bill origami animals (and bow ties and flowers etc). The video below is going to show you step by step instructions for this easy money origami fish. We don’t live in Florida or anywhere near Florida. So our vacation always (and I mean ALWAYS) begins with an early morning drive to the Salt Lake City Airport. This time it was actually super late night drive since we were taking the red eye –either way, it’s not when you want to be driving to the airport. After parking at our local lot, we took the shuttle to the airport. It’s at the that moment I realized I only had two $1 bills to tip the driver with. This was a rather sad moment. The guy was driving in the middle of the night for what are, probably, often tired and cranky travelers. ASIDE: I don’t know how much you all tip shuttle drivers, but I am probably cheaper than most. I usually just do about $1 for each person in my party if it is my family. If it is me alone, I do $3 which ends up usually being a $5 because that it what I have. Anyway I looked at my few bills and immediately thought how lame a traveler I was, only $2 for tipping on my trip. Lack of planning. In the dark shuttle I went to work folding a dollar origami fish. At the time, I hadn’t folded this repeatedly, so I was racking my memory for the steps. I eventually hit on the correct sequence and created a fish. 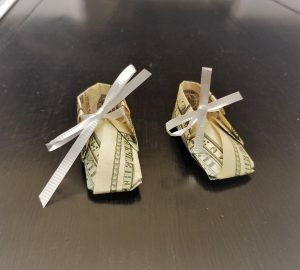 I really hoped the cuteness would make up for the lack of cash. I know, I was reaching here for validation to my appearance of cheapness. We got to the airport and handed off the money and began the hurry-up-and-wait of airport check-in. The driver had been all polite and accepted my tip without annoyance (usually people give a double take at dollar bills folded into fish, but her didn’t, and rightly so it was soooo cheap of me I am so embarassed). I figured he was grumbling to the fellow drivers back at the dispatch center. 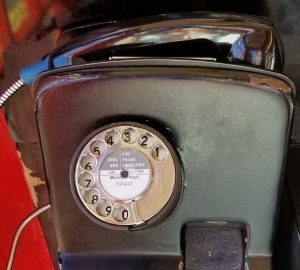 But I couldn’t do anything about under tipping in this situation. This is the crease pattern for a money fish, it’s easier to follow the video but some people love to start with crease patterns for folding. Money origami makes more money???? OK here is the crazy part. When we returned home from Florida, I went to drop another tip into the shuttle driver’s tip jar, ($5 this time–not folded into a money origami fish, cause I was travel tired and forgot) I noticed there was already an origami fish in it. I think my first $1 fish became the tip money to encourage more tips in the future. 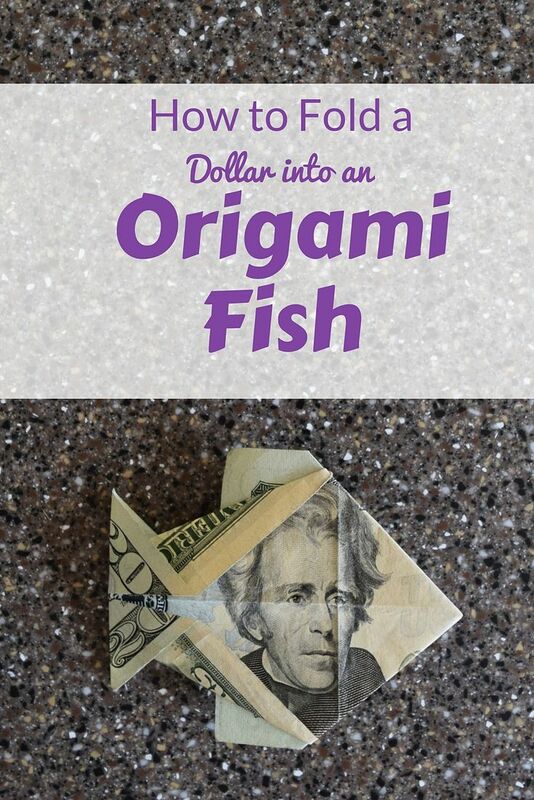 What better way to encourage more tips than with a dollar origami fish. I kinda felt at that moment like my chinzy tip might actually be doing this driver some good. 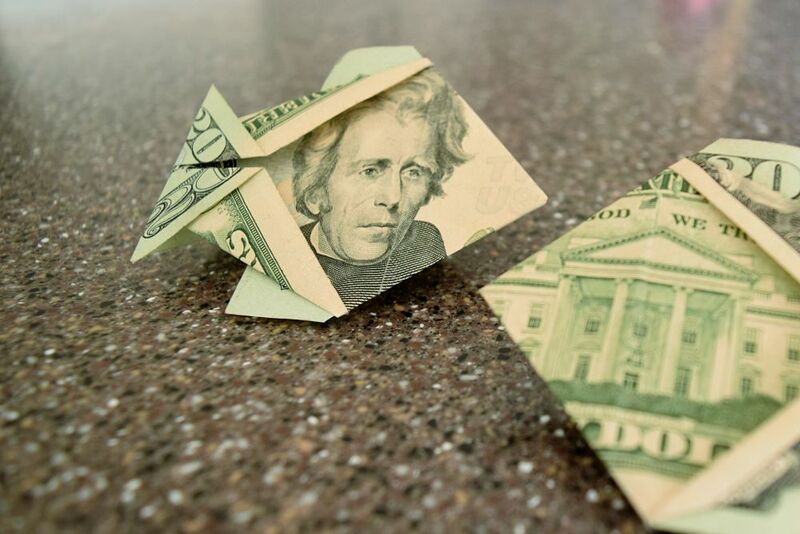 If you can’t fold your tip all cool into dollar origami animals, you might just give more, right? Remember if you do fold one of the these tutorials, please post a photo on Instagram and tag #origamifoodie or #favemom –we love to see it.